Experience the elegance and grandeur of the Chester Fabric 3 Seat Sofa, a no-compromise piece that combines functionality and timeless design to blend seamlessly into any decor. 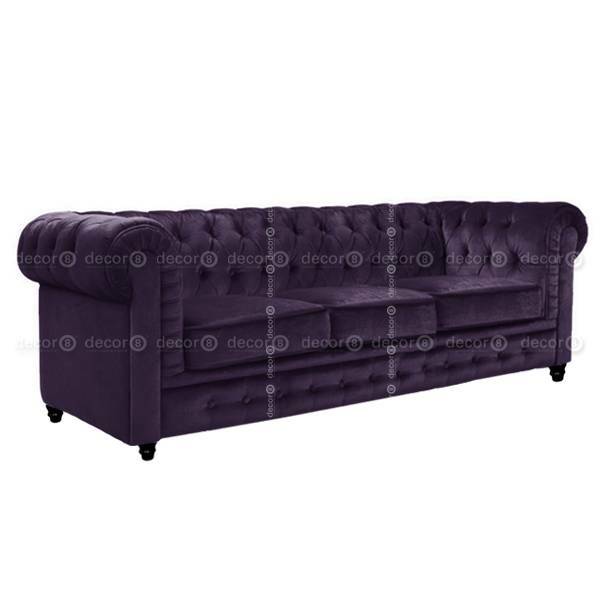 The upholstery is made from high quality premium velvet with classic detailing. Available in a wide range of colors. The frame is constructed from high quality timber; the plush seat cushions are stuffed with high density foam for superior comfort and support. Luxurious and stylish, it makes for an eye-catching accent piece in any space. This sofa is also available in Fabric and Genuine Leather version. Wide selection of swatches available for selection at our showrooms. Please note that the cover is not removable.